Of the fourteen clubs in my bag there is only one that has never let me down. One that has consistently gone far and straight almost every single time. 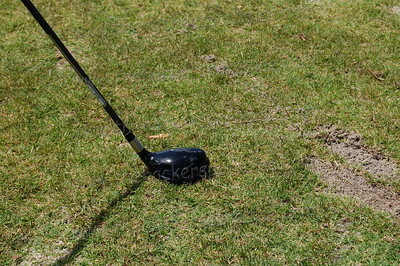 That club has been my Taylormade Burner Driver. The funny thing is I do not own any other Taylormade clubs. With the success of my driver I thought it was about time I tried out some other TM clubs and I started with the Burner 4 Hybrid. I know some people are against hybrids, or maybe just haven’t tried them, but for me they are the saving grace of my golf game. I am still somewhat of a newbie to this wonderfully frustrating game of golf, there fore, a hybrid club has really helped me on the course. Like every other club review we have done here at The Hackers Paradise we had a panel of testers from all different skill levels test out this hybrid so we could get a more thorough analysis and review. I brought the Burner Hybrid to my weekly ladies clinic and asked each lady to warm up with their normal clubs and then give the Taylormade a try. The next day I met up with the same group of ladies for a 9 hole scramble so we could really put this hybrid through the wringer. I asked the ladies to evaluate this club based on three things: appearance, performance, and feel. For me personally the appearance of a club at address can make or break my shot. It turns out many of the ladies felt the same way. Compared to their other hybrids the Taylormade Burner has a bit of a different look at set-up. 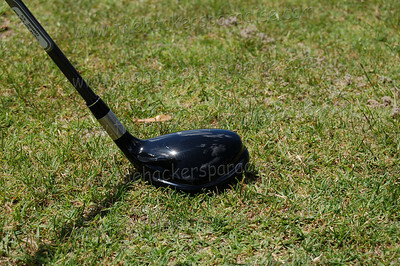 This club has a more triangular shape than most of us were used to which at first posted a bit of concern to us all. However, once we had that hybrid in our hands and set up for play we all felt a bit empowered. The club triangle shape gave me the feel of a bow and arrow which gave me confidence that when I struck that ball it would going flying a mile. With that said, for appearance the group gave it a unanimous thumbs up. Now that we felt the club looked great in our hands we wanted to see how it handled. For me the Taylormade hybrid performed just as well as my current club. I lost a little distance but I gained accuracy. After testing was completed the majority of the other ladies were thrilled with how well they played with the Burner Hybrid. They all felt their ball went so much straighter than with their current clubs and most felt it went further too. Two ladies said they did not care for the Burner, not because they didn’t play well with it, they just said they prefer their current hybrid better. One thing we all agreed on was the sound. We all really liked the rewarding sound the ball made at impact. 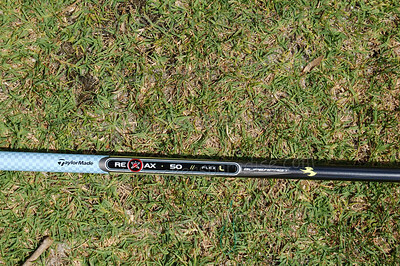 My old hybrid barely made any noise and it made me feel like I wasn’t making solid contact, but with this club when you hit the ball right you know it. Overall, the Taylormade Burner Hybrid was two for two in our testing. The final category we analyzed was feel. I find that with many hybrids on the market today feel is something that is really lacking. A lot of them designed for women feel â€œclunkyâ€ and while they are great for getting the ball up in the air, you cannot tell if you hit them in the center or miss hit it badly. With the Taylormade hybrid what I noticed was something different, perhaps because they were the creator of the club type. 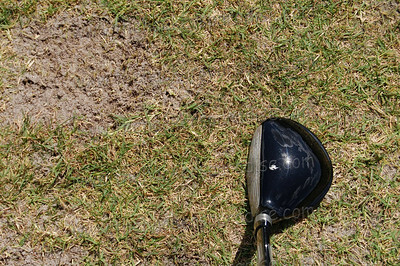 You still get the super forgiveness that we have grown accustom to, but you can also feel the club and ball at impact. Something I must say that I was not used to and am glad that I found it. I have being singing the praises of my Taylormade Burner driver for so long and I am so happy to say that the Burner Hybrid did not let me down. I had such high hopes for this club and I honestly didn’t know if it would live up to my expectations, but not only did it live up to them, it far surpassed them. As mentioned before I could not live without my hybrids and I am so excited to add this great club to my bag. If you are in the market for a new hybrid, or a if you haven’t tried one before, I would recommend giving the Taylormade Burner a try. You can learn more about Taylormade here. Glad to hear you found another club that’s a must-have for you! Jacqui hasn’t tried any women’s hybrids yet but she definitely took my 3DX 4H and uses it a LOT! Awesome review. My Mom is looking for new hybrids and has it narrowed down to these and the Adams. Very interested review. I have this club and agree with you 100%. You get a great feel off the club face and the sound is perfect. This one intrigues me because I have never used hybrids before and said I never would. Well that was last year. I have since tried a few of them out and really liked the Nickent and the Taylormade the best. This might put it over the top for me. They are great looking too. Very interesting. I am new to golf and looking for new clubs. These might be exactly what I need to help my progress. Good stuff girl. I want to go to this womens clinic that you go to. I am in Orlando and might have to make the trip. Great review. I love TaylorMade equipment in general. Right now I have a TM driver, 3 hybrids and irons. I have the ’07 hybrids, and I agree that the sound and feel is awesome. Although my clubs are senior flex, I like how their ladies equipment is of the same great quality as the men’s equipment they make. Interesting info. My wife’s been looking for a hybrid. I’ll let her know about this one. When playing Pebble Beach with a friend who had the burner driver, on the 2nd day our caddy (same as first day) suggested I use my friends Burner driver… Oh was he right! I could now be the poster child (golfer?) for Taylor Made Burners… from the driver, 3, 5 and the 4, 5, 6 hybrid. I’m disappointed they do not make a 7. Now I’m switching to the Burner Plus irons for 8, 9, P, S, A. They are perfect for my swing.. and oh so forgiving… the misses are good misses! I encourage women to try them… they helped bring my handicap down 2 points (13) and am counting on them for several more. PS switched out from Cobras. Worth the try ladies.